Helping others find the life of their dreams. I was born and raised in Phoenix, Az and have been seeking a way to assist others for my entire life. 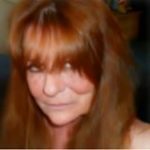 Publishing books and informational websites to assist others as well as lending a hand to the less fortunate, you will find that I have different insights on various topics. As well as publishing, I have been involved in creative design, promotions, personal development, and marketing for years as well as the arts since I was a child. I am now located in the "Vortex Energy Capital" of the US just 15 minutes south of Sedona, Az. I and my family made the move here on New Year's Eve 2016 to soak up the positive energy and pass it along to our community. Find all the tools you need for your perfect addiction-free path in life.